Dentures at Clayfield offer same-day denture relines designed to improve retention and stability. Is your denture slipping or ill-fitting? Perhaps food is getting stuck under your lower dentures or you have limited suction on your top? If you are experiencing any of these issues, a simple denture reline may offer a solution to improve comfort. A denture reline or refitting is a relatively easy and affordable service. A denture reline refers to the placement of a new custom fitting surface on your denture. This can be carried out for both full dentures and partial dentures which have become unstable. A regular reline will help to ensure your denture is fitted to your mouth shape and functions correctly. Your denture needs to be in a good condition or it may be necessary to have get a denture replacement. Handle dentures with care to prevent breakage. Keep dentures in water when not in use to prevent them from drying out. Avoid heavy biting on front teeth. Clean clasped teeth well to avoid decay. 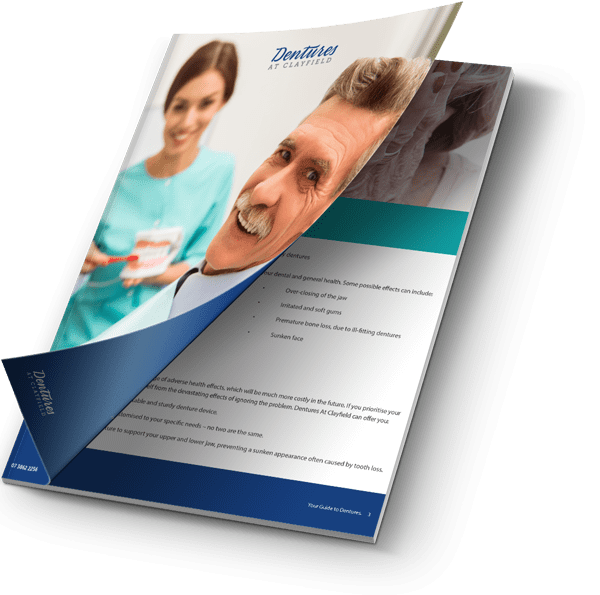 How often do dentures need to be relined? A regular visit to Dentures at Clayfield every 1 – 2 years will allow our professionals to check your denture. They will assess the device quality and stability to ensure it is still right for you. If you start noticing changes to your dentures, contact us today to book an assessment. Ill-fitting and loose dentures can cause more stress on the supporting tissues. This increases the risk of further resorption. Along with daily discomfort, loose dentures may affect your eating and speaking. Book an appointment with our prosthetist in Clayfield if your denture becomes loose, chips, cracks or breaks. To request an appointment for same-day denture relines with Brisbane’s preferred denture clinic, contact us.